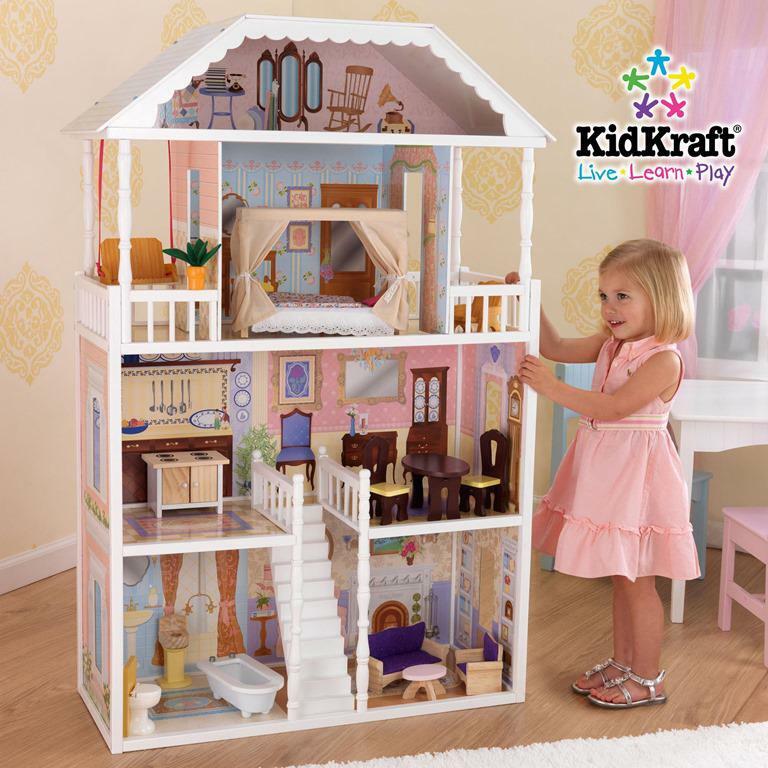 Side note: I got a great deal on the dollhouse on zulily a few weeks back- and they are on sale again today on zulily, along with the KidKraft play kitchen we got Hailey for her birthday, so check it out! I can’t wait to see her face- she’s going to freak out. Moving on, we don’t do a lot of gifts around here, but I do love stockings. I always have. Growing up I loved the giant unknown of the grab bag stocking. I would reach in and pull out one thing at a time to marvel at it before moving on. Now, Hailey is only 2. She is starting to get Christmas (AKA she says ho HO every time she sees Santa and her eyes light up when she sees ‘Kwis-mas ights”). Still, at two she still gets excited over little things and I can get away with throwing some ‘needs’ into her stocking, knowing she’ll love them just as much. We are in constant need of sippy cups for the car around here, and these Nalgene ones are some of my favorites. They don’t leak. Is there anything you need to know beyond that? They DON’T LEAK. Incredible. Also, somehow we have 5,198 spoons for Hailey and only 1 fork (that gets washed a lot). So, hooray for the fork pack! Oh Target, you shady lady. You always draw me in every time. Luckily the $1 bins are full of great goodies. Hailey is really into books right now (reads them to herself in the dark in the crib at night), and these little ones are durable and small, perfect for some light before-bed reading. The other two toys are a light up fan (Hailey-tested it in store and it’s a hit) and keys. I’m really hoping she loves them as much as my keys so I can have mine back to, you know, drive the car and whatnot. Another step in the potty-training direction. These will go side-by-side with the new Minnie Mouse potty seat Hailey picked out. I’m hoping since she picked out the undies, that the excitement will carry over to learning how to potty (after the holidays). Ah, yes, I’m that mom. I see no need to stuff Hailey’s stocking with candy (if she sees suckers, she’ll just melt down until she gets one so I’d rather save them for necessary situations). Instead, these Clementines rock her world. 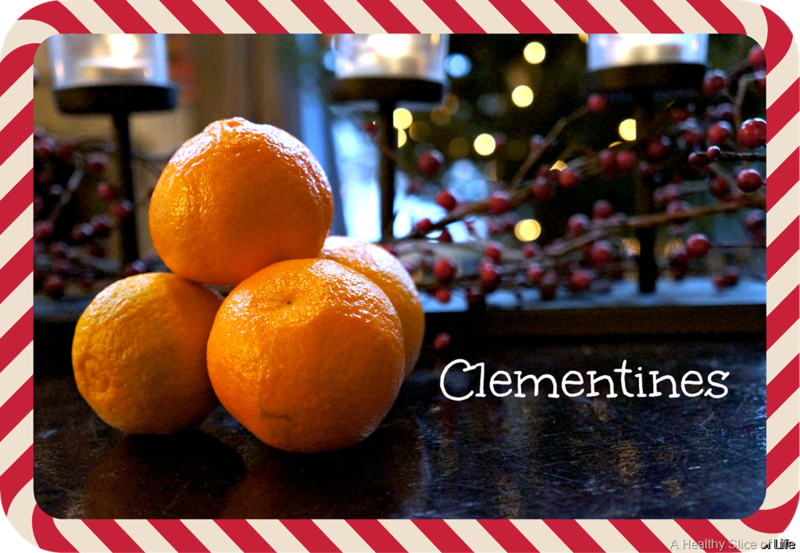 Seedless and easy to peel, they will be perfect for adding bulk to her stocking. So there are our stocking stuffers! I can’t wait to watch her reach into the stocking and marvel at her finds… or just dump them all out at once. Either way, the magic of Christmas is so evident in her eyes this year and I’m drinking it up! Christmas favorite: gifts or stockings? What was your favorite stocking stuffer growing up? 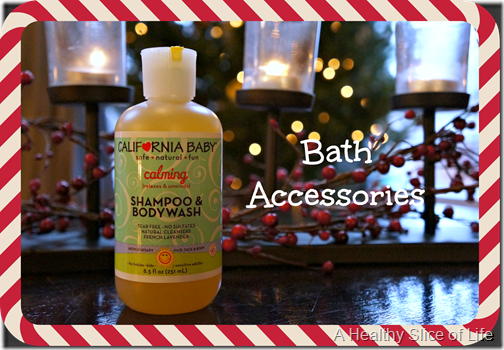 What do you plan to put in your kids’ stockings? I can still see you rummaging through your stocking way back when, as well as last year! Warm memories of Christmas glee. Anxious to see Hailey recreate such memories in her special way. John J. recently posted..Happy Birthday, Kris – My Son! Where do you get the Nalgene bottles?? I find them at Target (of course ;)), but in the outdoor section, not the kids section! Nalgene also has their own website, where you can find them. My son loves his!! By the way, you were and still are my “favorite” daughter! John J. recently posted..Who Was The “Favorite Child” In Your Family? The Target $1 bin got me this year too! My daughter loves Elmo (despite only seeing Sesame Street a few times) so I got her the snack cup and some of the board books and bath books. We will probably add something she needs. May now add the Nalgene you posted! For us stockings are usually need items along with 1-2 wants. That Target bin is crack! 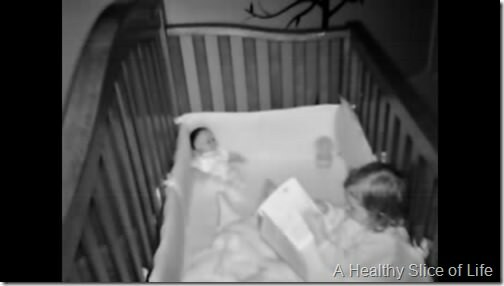 I love how it looks like she is reading to her baby in her crib!! 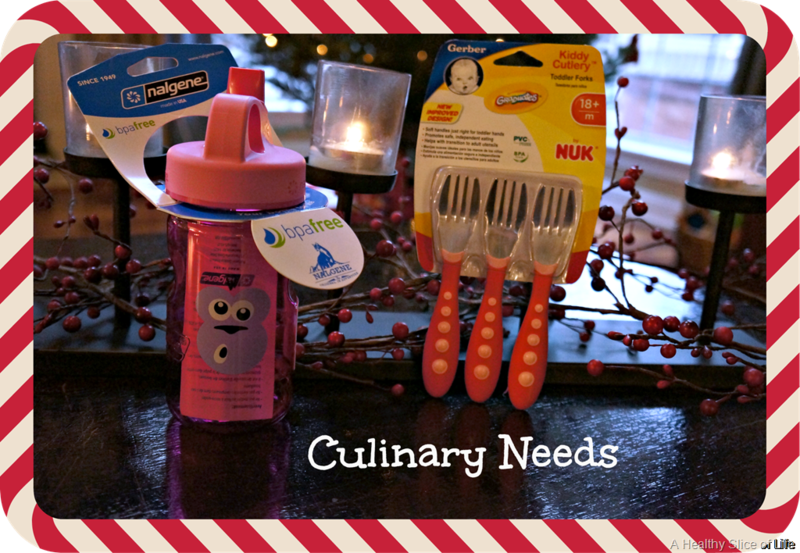 We LOVE the nalgene sippy cups! Both of my big kids have them and they are a favorite around here! And we’re SUPER picky about our cups! 😉 Another bonus when she gets a little bigger you can use the sippy cup lid on a taller cup so you don’t have to fill up so much! Love that!! Great ideas, Brittany! Stockings weren’t a big thing for us growing up — “Santa” would often forget to fill them 🙂 But my husband’s family is ALL about the stockings! (although, they do odd stocking gifts that I don’t really need or want – like pads of sticky notes, Sharpie markers, rubber band balls, etc.) 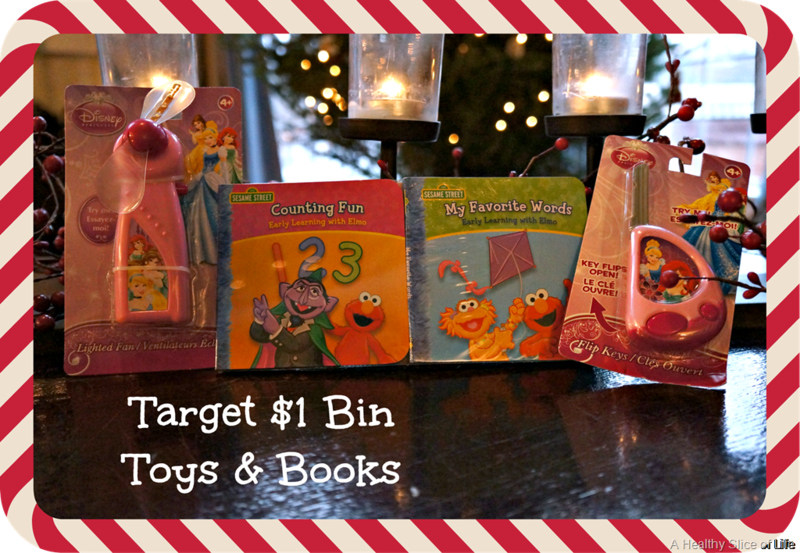 For my daughter, we plan to do similar things to you — love those Target dollar bins!! Definitely love the randomness of stockings – it’s so fun to pick out little things to put in. For our toddler this year, he’ll be getting the same Target $1 bin books, a new bedtime book, some decals for his wall – we just put grass up, so I got him some bugs that he can help add, some Annie’s honey grahams for the snack part, and lots of Hot Wheels…. oh yeah, and some TMNT socks. For my 1 month old, she’s getting some fun rattles and a teething toy, and a little stuffed animal as well. I’m going to have to track down those nalgene sippy cups, though!! Thank you for this post!! I have been looking all over for a good deal on a doll house because my husband and I “adopted a family” for Christmas, and the 5 year old girl we got wanted a doll house. I had looked everywhere! 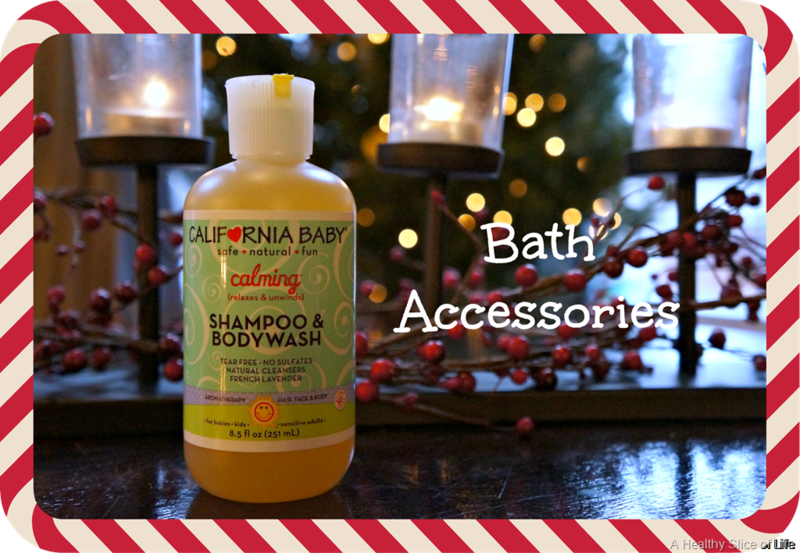 Kohls, Target, Walmart, Costco…everywhere! So glad I looked on zulily! 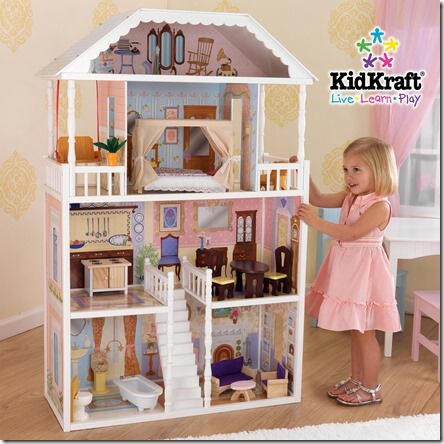 Brittany- I can’t find the same dollhouse that you are getting Hailey on Zulily. Would you mind sending the link to the exact one that you got? I see other houses, but not the same one. Thanks! That dollhouse is amazing! We don’t do much for gifts either and I’m with you on the stockings! They are so much fun . Target $1 bin books are the best! I hadn’t thought of underwear but definitely doing that one! [email protected] recently posted..Grass-fed or Grass-finished???? 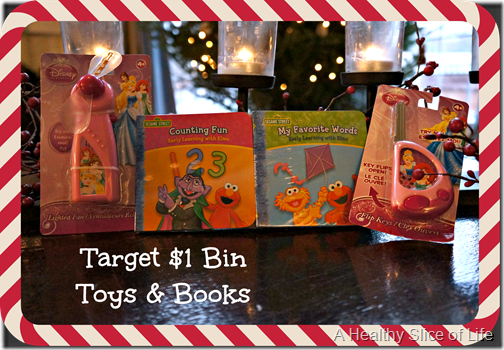 Great ideas for the stocking! I love stockings too, as a kid, we’d open our big pile of gifts and have to wait to open our stocking til after breakfast. They were like a little bonus at the end of the meal. For my 2 year old, I’m putting socks, a small book, a new toothbrush and paste, and maybe a small toy. I still have to buy all this stuff of course, but that’s the plan. I think I’ll do a clementine too, are they tasting good yet? I always buy a crate too early before they get really sweet and juicy, so I haven’t had one yet this winter. We’re still going through honey crisp apples in our house. I hit up target bin yesterday! We are doing playoff, stickers, arts and crafts stuff we can use in the winter, books! But will def do the clementines in the bottom!! 🙂 we got Avery the majestic dollhouse from amazon. I saw the silly a couple days ago and was kicking myself bc I a toTOtAL bargain shopper. I get a high wen I wheel and deal… It’s like a secret passion… But I had to take a hit and remind myselfy amazon price was still pretty good and they even price adjusted $10 when I saw the next day it was $20 cheaper!! Ha ha. Again, it’s a total game for me! I wish I knew about zululy for Avery’s kitchen, I don’t LovE hers but it def serves its purpose!! As a kid our favorite sticking stuffers were pistachios. That was a tral treat from Santa! Big bags of pistachios!! Yum!! Love the Nalgene water bottles too! Yes! The Target bin is great. I have already gotten Parker some “Hot Wheels” socks and a miniature slinky. 🙂 I plan to get more little things. Shopping for little ones is so overwhelming! 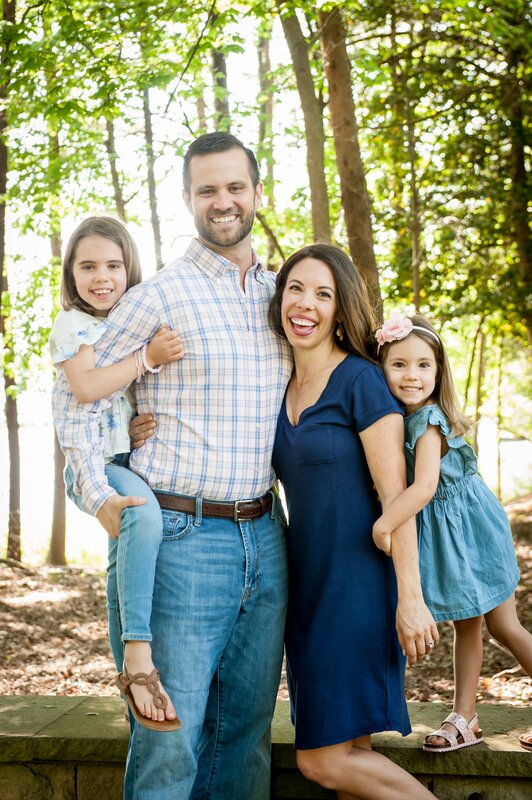 The grandparents are really getting some nice gifts for Parker and Avery, so Jay and I are just doing “Something You Want, Something You Need, Something You Wear, Something You Read” for the kids. Probably a tradition we will continue! You are such a cute mama. I love stockings. I think when we have kids we’ll do the same thing. Minimal presents but stockings yes! These are really cute ideas. I’ve been struggling with what to put in Michael’s stocking, so thanks for the inspiration! Stockings and I love fruit in stockings!! 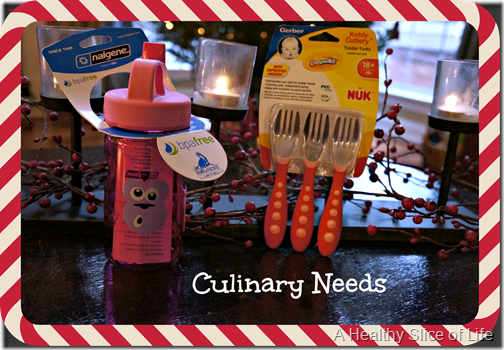 I’m so excited for hunters stocking this year 🙂 I need to find a fork pack to add – we have the same problem, so many spoons and one fork! Cuties, fruit/veggie pouches and the mini packages of raisins will be his snack stuff + I picked up some mini wood instruments at target in the dollar bins. Thinking I need a couple little books too. I love that hailey reads her books in the dark, too cute. Love your ideas! So practical! 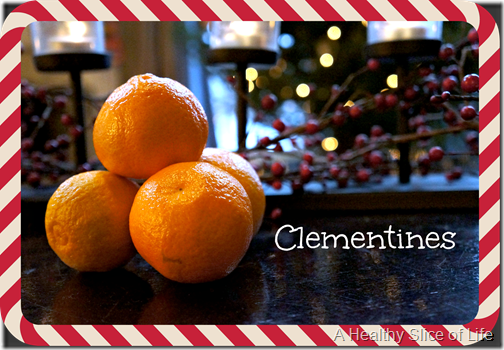 Great ideas… and I LOVE the clementines in the stocking idea. Those are L’s favorite fruit these days! Heya i will be for the first time below. I found that mother board i locating It practical & this reduced the problem out and about very much. I really hope to offer you a thing all over again as well as aid other folks just like you reduced the problem.